With uncertainty surrounding Ryan Tannehill, the Miami Dolphins have already reached out to Jay Cutler. A scare went through Miami Dolphins training camp on Thursday, when quarterback Ryan Tannehill went down with a non-contact injury to his left leg. With a partially torn ACL and MCL in his left knee, Tannehill’s status is uncertain right now and surgery, which could end his 2017 season early, is an option. Dolphins’ head coach Adam Gase has offered no official update on Tannehill. But some options to replace the starter instantly surfaced, including Jay Cutler and Colin Kaepernick. And, according to Armando Salguero of the Miami Herald, Gase has “personally” reached out to Jay Cutler on the heels of Tannehill’s potentially season-ending injury. Cutler and Gase worked together in 2015, when Gase was offensive coordinator for the Chicago Bears. 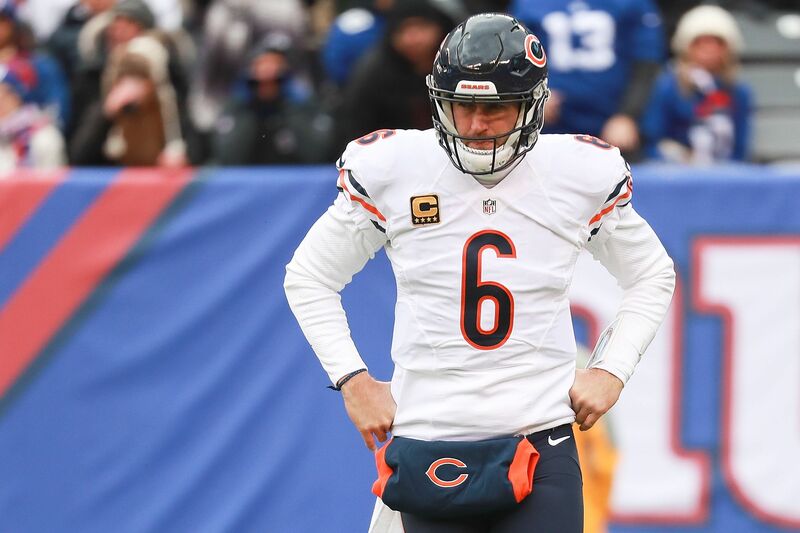 Cutler’s numbers were not great overall, with 3,659 yards (243.9 yards per game) and 21 touchdowns in 15 games, but he had the second-highest completion percentage of his career (64.4 percent) and threw just 11 interceptions in 483 attempts. ESPN’s Jeff Darlington reported Cutler is interested in re-joining Gase and playing for the Dolphins. But he wants a chance to be a full-time starter, and the requisite money of that role, to leave his new broadcasting gig at FOX. The Dolphins can only offer both of those things if Tannehill is out for the season, assuming they considered Cutler to be an upgrade over Matt Moore. But Gase reaching out so quickly suggests that Cutler was the first call from anyone in the organization to any available quarterback, and he would surely step right in as the new starter upon arrival in Miami. Cutler found little interest on the open market this offseason, which may have pushed him into broadcasting. But the Dolphins have an appealing situation, and that there’s apparently some level of mutual interest less than 36 hours after Tannehill left practice is significant.